This month’s block is the Flowering Snowball. The holidays are coming and we are getting curvy. 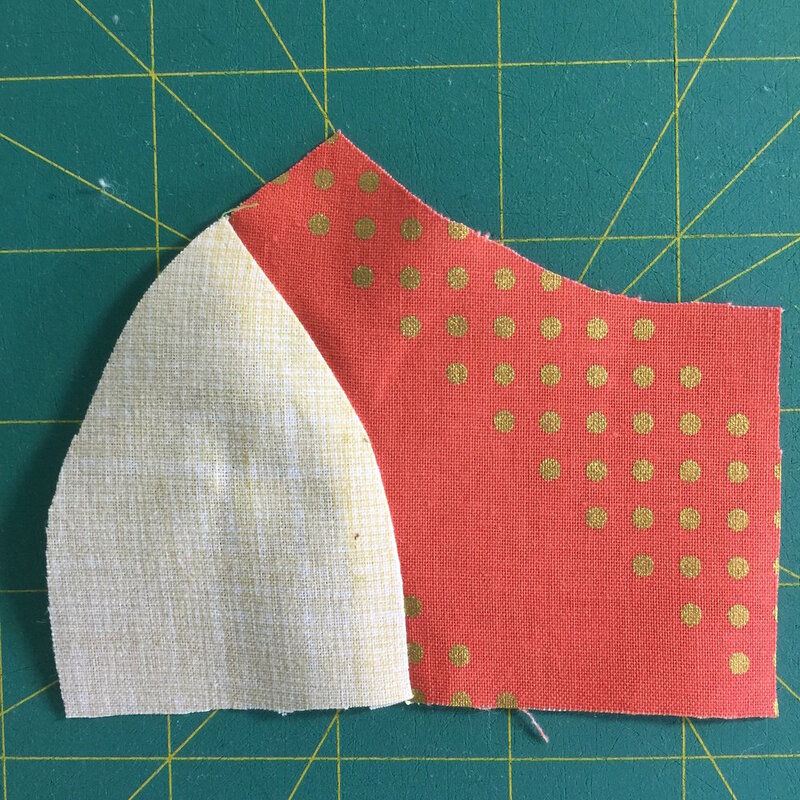 Holly from Bits of Everything has the pattern (if you didn’t pick one up at the meeting) and a great tutorial with a few extra tips for sewing those curves. 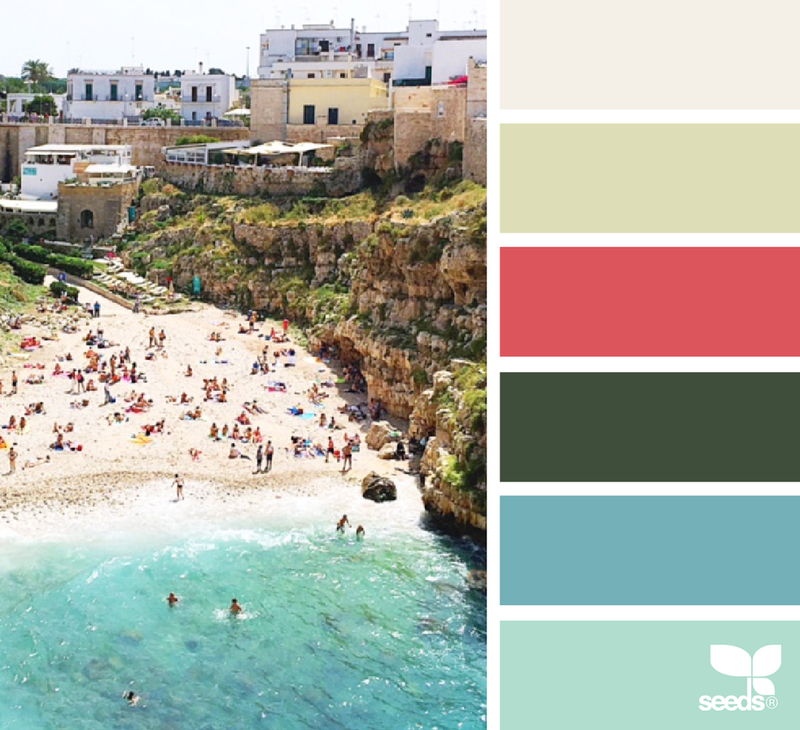 Our colorway this month is from Design Seeds. Feel free to use prints or solids and use all the colors or just some of them. 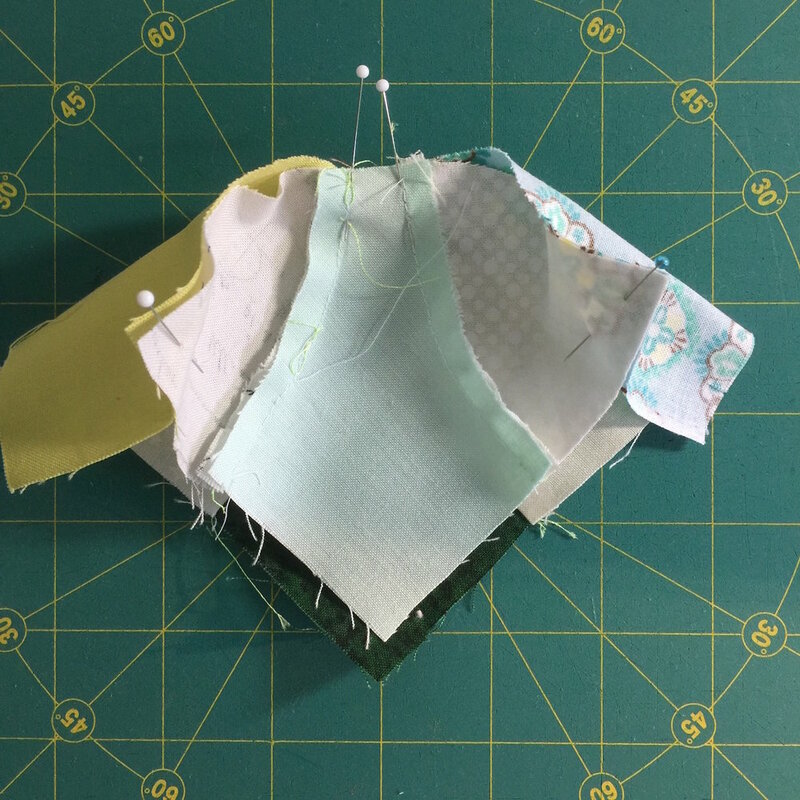 This block may be a bit of a challenge the first time you make it, especially to new quilters, but the tutorial is very easy to follow with step-by-step instructions and photos. The tutorial explains it a little different than I did at the meeting and how I do below. I also had a suggestion at the meeting to glue baste it and to sew it by hand. So however you decide to make it just remember it gets easier each time you do it. Please let me know on FB if you are having trouble. Lets have a contest to see who makes the most blocks. I will bring a goodie for whoever makes the most!!! The blocks can be broken down into 3 sections. First is the center square with 2 corner blocks. Press seams into the middle. The next are the 2 corner sections. The pictures will show how to pin and sew the corner sections together. Use ¼ inch seam allowance. 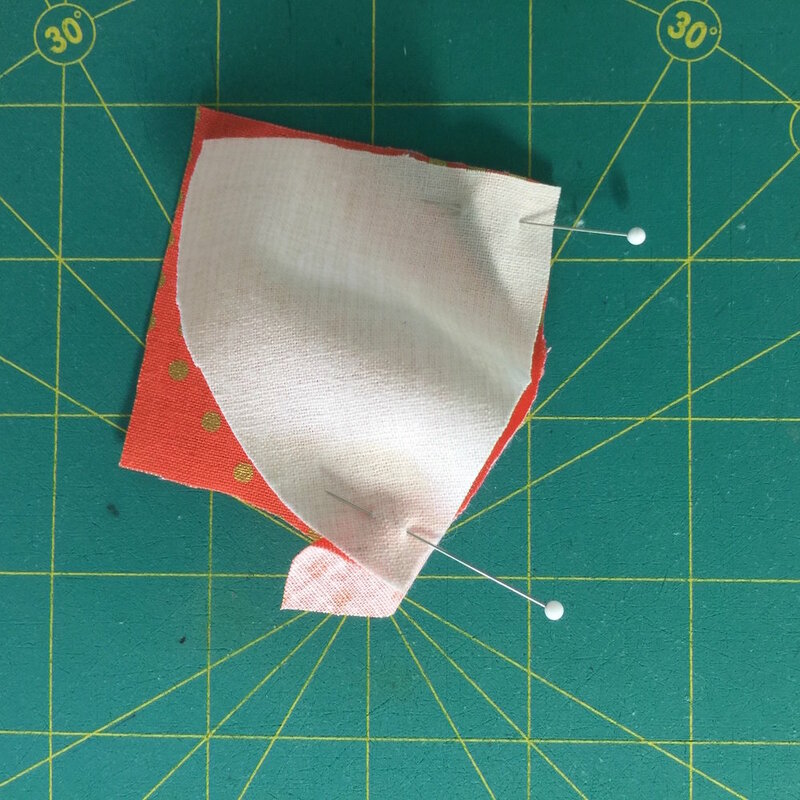 Make sure your fabric it lined up at the ¼ inch where it is even with your needle. Sometimes you need to lift your presser foot up and then back down (with the needle down) to help it flatten out to sew the curve. This is going to be beautiful when it is all put together. We can’t wait to see this one finished!! Be sure to lower the presser foot before sewing. You may want to curve the fabric up and hold it as two separate pieces to help it ease together. One side finished now repeat for the other side. This shows how to pin the corner pieces to the center section. Be sure the two center seams line up and pin each one then pin the beginning and the end.